RD Plumbing provides clients with complete oil boiler servicing. Our team of oil boiler experts are available to commercial and residential clients who use oil as their primary home heating fuel. Oil boilers should be serviced at least once a year but our oil boiler engineers recommend twice a year if your boiler is subjected to particularly heavy use. Our team make sure that your boiler is optimised for performance and efficiency. After an oil boiler service, a domestic or commercial boiler will run better, use less fuel and heat up radiators faster. Is it time for your oil boiler service? Get in contact with RD Plumbing today, the oil boiler experts. RD Plumbing provides property owners with complete gas boiler servicing. Our gas boiler engineers are available to come to your property and perform a full gas boiler service and gas boiler safety check. Poorly maintained or neglected gas boilers pose a serious risk to the property’s occupants. Carbon monoxide poisoning can be fatal. Our gas boiler engineers perform a full inspection of a gas boiler checking for leaks and weak points. 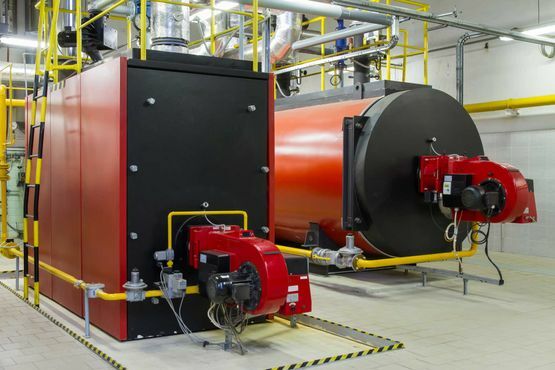 Our service procedures include the repair of any compromised areas, ensuring that a gas boiler is running safely, efficiently and to the manufacturer's specifications. For the very best in professional gas boiler servicing, get in contact with RD Plumbing today.